Spencer Williams’ “Tishomingo Blues” has a special place in my heart and is one of the main reasons that I play and write about jazz. It started in 1957. At a cafe on Hönö in the northern archipelago of Gothenburg there was a jukebox, where you could enjoy the pianists Jerry Lee Lewis, Little Richard, Fats Domino and many other artists, but no jazz (excepting Mack the Knife and Moonlight Serenade). 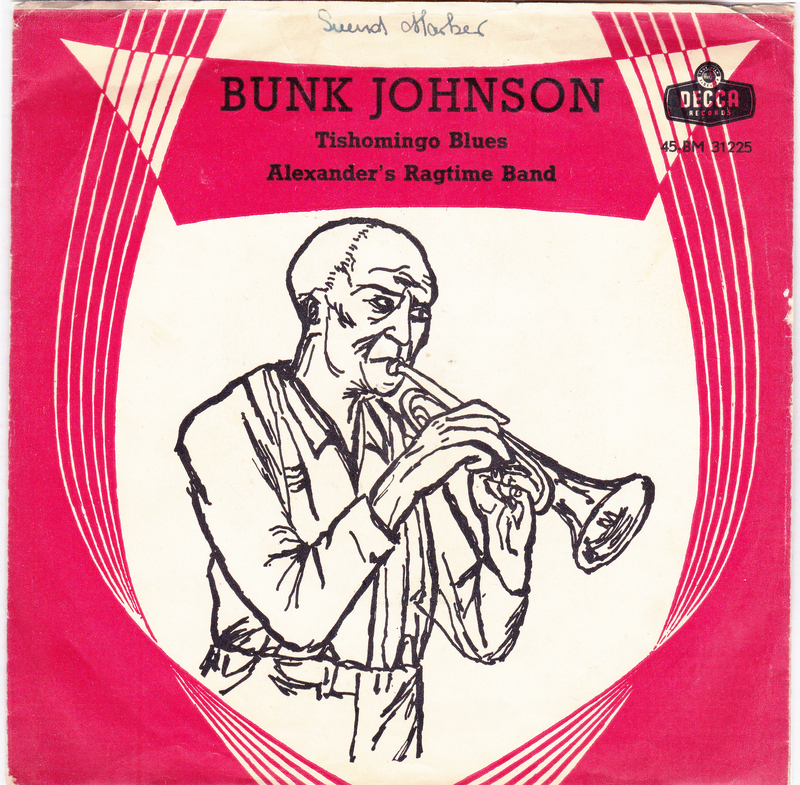 But one day there was a record with a trumpet player, hitherto unknown to me, named Bunk Johnson. On one of the songs there was a piano solo that grabbed me so that I have not recovered yet. The song was Tishomingo Blues and the pianist was Alton Purnell. Imagine – at a cafe on Hönö! Tishomingo is a small town in Mississippi, near the Missouri border. It was named from the Chickasaw Chief Tishu Miko. Spencer Williams, who wrote the song in 1917, had for some reason made ​​a short stay in the city the previous year. The unknown artist who illustrated the original music sheet had hardly any connection to the town. Possibly he may have thought of the town Tishomingo in Oklahoma, judging by the cowboy inspired illustration! I wish to linger, way down old Dixie way. with a race, in a place, where they make you welcome all the time. The town is mentioned in Coen Brothers’ movie “Oh Brother, Where Art Thou”? There the Soggy Bottom Boys recorded the hit “A Man of Constant Sorrow”. The song was published in 1917 by E.B. Marks Music Company, “The House of Hits”, which issued many blues songs. In the 1910s it became popular to use the word “blues” in song titles for commercial reasons, although the melodies or the lyrics did not meet the blues criteria. So did Spencer Williams with “Basin Street Blues” as prime example. The first twelve bars of “Tishomingo Blues” follows the blues pattern, but the rest of the thirty-two bars are different. The melody is in the original written in G major, with a verse that is rarely played. Duke Ellington’s recording with Washingtonians in 1928 is well known. Gunter Schuller mentions in Early Jazz (p. 336) that Ellington experimented with “modern” sounds giving the sax sections its special tone. Prior to the aforementioned recordings Lizzie Miles sang it, accompanied by pianist Clarence Johnson, 1923. Here the pace is slower and the performance more “bluesy” than in the mentioned versions. 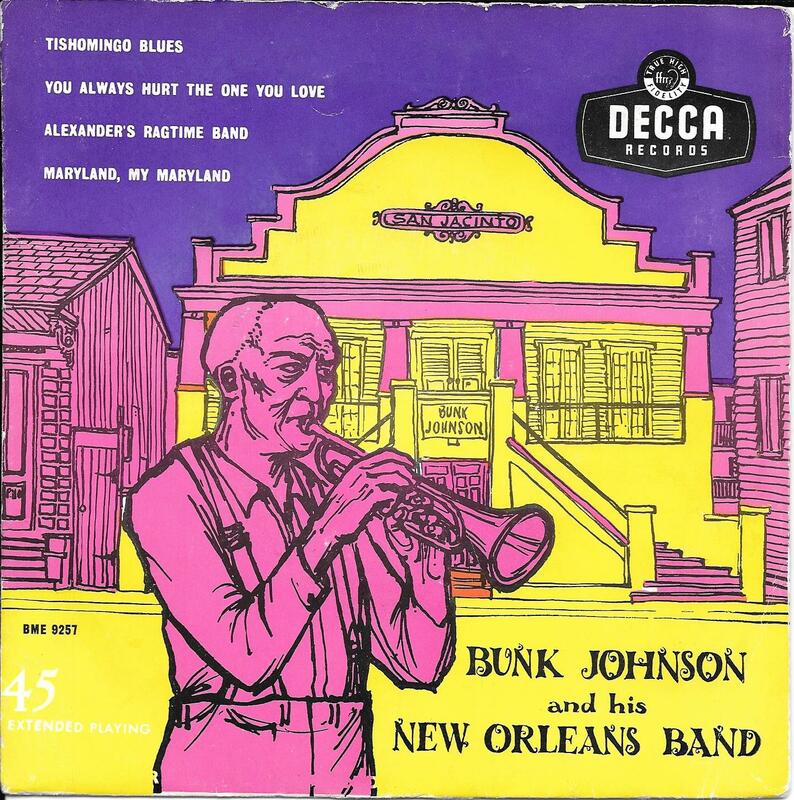 In connection with an engagement at Stuyvesant Casino in New York Bunk Johnson made some recordings in World Transcription Studio. 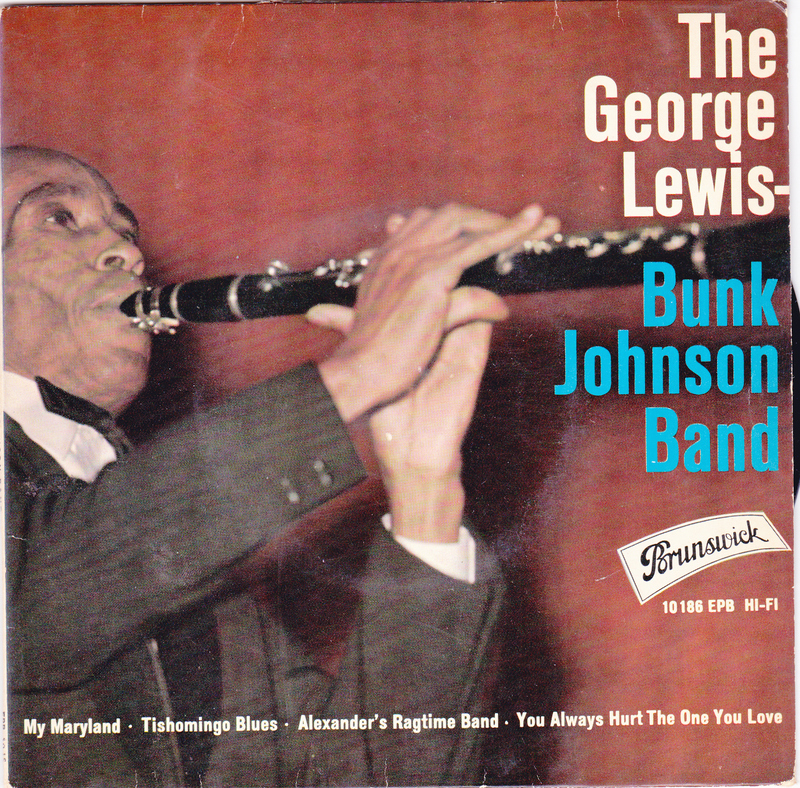 On 21 November 1945 the band recorded four songs: ”Tishomingo Blues, ”Alexander’s Ragtime Band,” ”Maryland my Maryland” and ”You Always Hurt the One You “Love”. 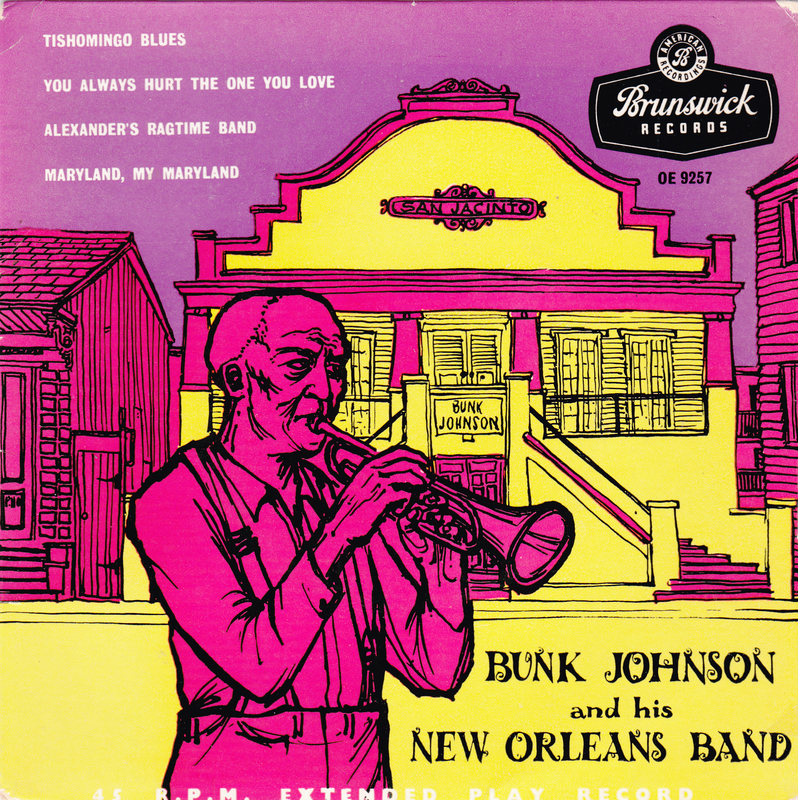 Bunk Johnson and his New Orleans Band consisted of Bunk trumpet, Jim Robinson trombone, George Lewis clarinet, Lawrence Marrero banjo Alcide ”Slow Drag” Pavageau bass and Warren ”Baby” Dodds drums. There were six takes of Decca 73151 “Tishomingo Blues”, three of which with false start etc. Take A take was released on Decca 25131, in an album “New Orleans Revival” No. A 549 with four 78 rpm discs: two with Bunk and two with Kid Ory. 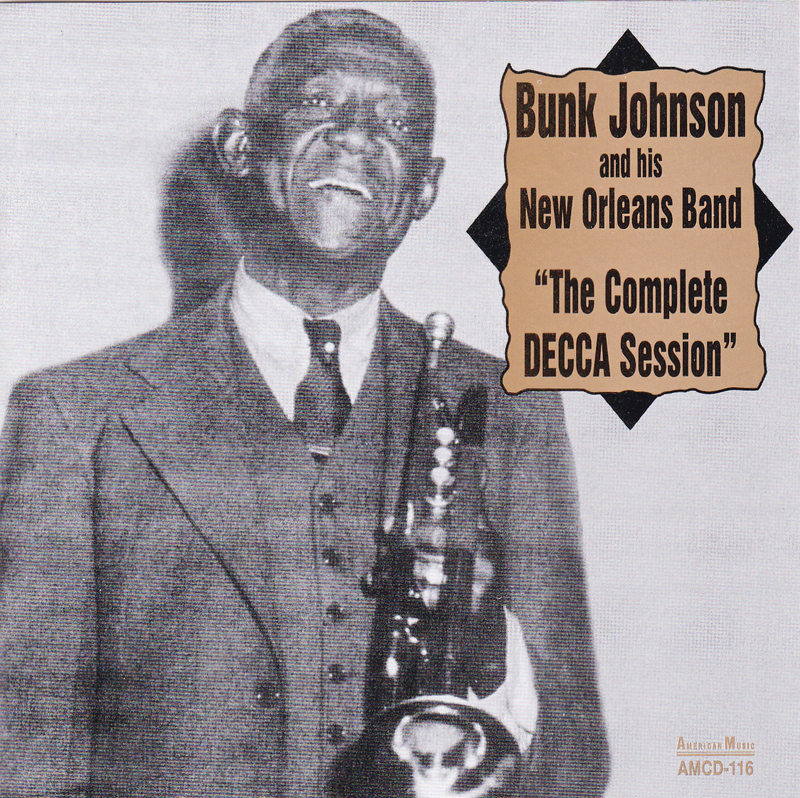 American Music AMCD 116 “The Complete Decca Sessions” comprises all takes, including incomplete and rejected ones. 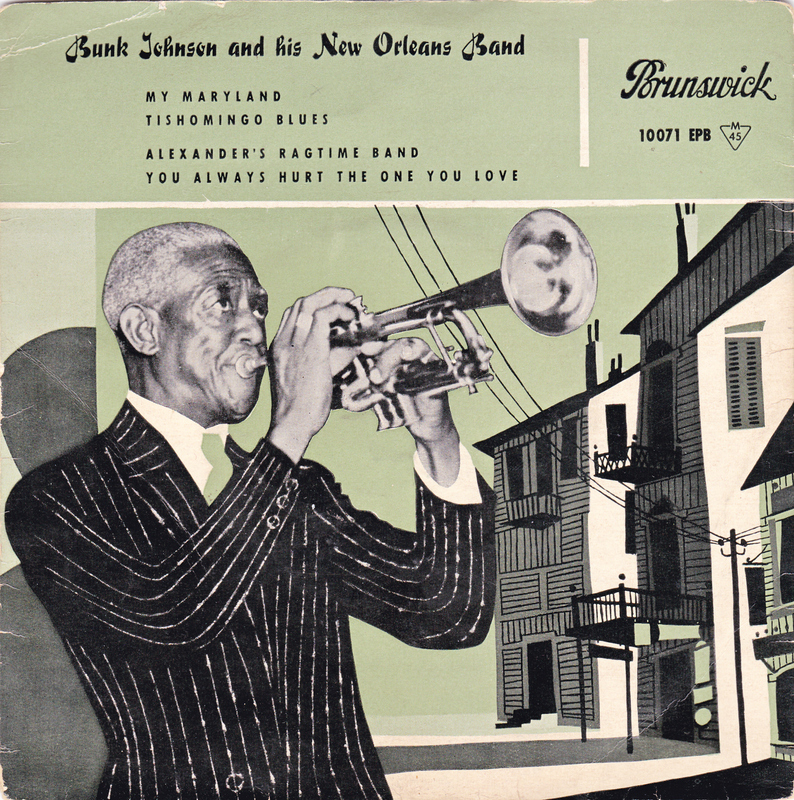 After Bunk’s recording the song became a popular feature in the repertoire of many bands, mainly in the New Orleans genre. It was the opening number in ”A Prairie Home Companion” with new lyrics by Garrison Keillor. Trevligt och insiktsfullt om Tishomingo blues. Jag köpte Brunswick-epn 1961 med Bunk och har gillat den sen dess! Ellingtons version är ju ett måste men Blackbirds version är också bra.